“Our new relationship with Marvin Window & Door is part of a continued commitment to provide the best service and offer the best performing products to the residents of New Jersey”, says Bob Mikaelian, Toms River Door and Windows Owner. What distinguishes a Marvin Authorized Replacement Contractor from other replacement contractors is the training that is essential to earn their certification. Before earning the Marvin Authorized title, all contractors must first go through a designed training schedule that includes product and sales training, installation and service training, and training on Marvin’s cloud-based quoting software. To learn more about Toms River Door and Window, you can visit tomsriverdoorandwindow.com, call (732) 341 4052, or email info@tomsriverdoorandwindow.com. 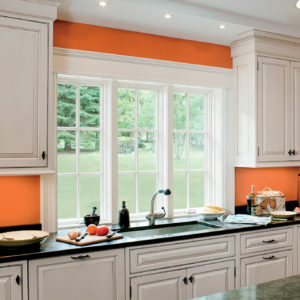 Toms River Door and Window has been a family owned professional remodeler for Ocean and Monmouth County area since 1971. This company has been acknowledged locally and nationally for their outstanding services to their customers and the industry. Founded in 1946, Super Enterprises is the exclusive residential and commercial distributor for The Marvin Family of Brands in southeast New York, New York City, Long Island, New Jersey, eastern Pennsylvania and Delaware.